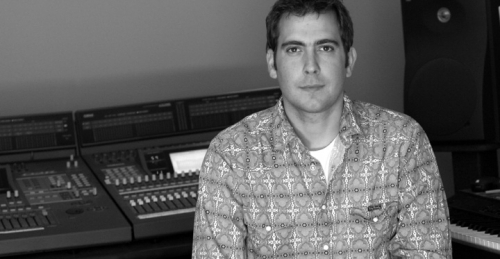 ACEFEST sat down for a quick chat with Kevin Manthei, who has scored and composed pieces for countless television, video game and film productions. His credits include ‘Batman: Gotham Knight’, ‘Resident Evil’, ‘Scream 2 & 3’, “Invader Zim”, “Buffy the Vampire Slayer” and many more. You seem to be writing pieces that lend themselves more to adventurous and whimsical projects (ie Batman: Gotham Knight, Invader Zim, etc.) Is there any reason you gravitate towards this type of music? I enjoy writing music that has strong drama in it – whether its super hero’s, music to underscore a green alien bent on destroying the earth or music for Star Trek Online, I enjoy the challenge of it. I do have a sensitive side too – its fun to write music that is less heavy and less dramatic but focuses on the human drama and condition. Its a challenge to compose something that pulls on people’s heartstrings. Are there any specific composers or scores you draw influence from in your work? This varies from year to year and project to project. Currently I am scoring a new Cartoon Network show Generator Rex that calls for high octane action – but we are going about it in a clever way. We are using punk rock to underscore the action. So I have been listening to tons of punk rock music – old and new. I love all the classic composers as well – you can really gleam a lot from those who have gone before you. Your arrangements sound very life-like and organic. Is choosing instrumentation a substantial part of your creative process? A big part of my job is to make all my music sound real and not sound fake or ‘synthy’. To do that requires lots of great libraries, the use of live musicians to supplement or add to the score and good production skills. If you write a great song but can’t implement it correctly what’s the point? The director or producer will not like it. They don’t want to use their imagination – they want to hear it the way its supposed to be. No excuses. Do you compose electronically or work with live musicians? Which do you prefer? My favorite thing is working electronically but then adding 1-10 musicians on top of the score. This always makes the electronics sound more real and makes the music pop so much. I am using live guitar and bass on my punk rock orchestral hybrid score for Generator Rex which sells it so well. You can’t fake guitar! What are your top 5 most important tools for composing? Tools are important but what’s really important is how you use your tools. Learn the ins and outs of all the gear you have before getting new gear. Its not what you have but how you use it! I have some old stuff that still works great and I know how to get the most out of it. 3. Knowing how to use all your studio gear to the best of your ability. 4. A mentor or composer friends to help you with questions & challenge you to be better. 5. Don’t over think everything – just let the creative side of you come up and surprise you! If you pressed Play on your iPod right now, what is likely to come up? Just bought the most recent Daughtry CD & Green Day CD. I also have lots of Contemporary Christian music on my ipod. Any advice for someone wanting to start out in the field of film composing? Get a mentor and network like crazy. Know that it will take years of devoted study and paying your dues to make a living. I have discovered in the last few years that you never stop the process of getting new work and networking – if you don’t let people know your out there they won’t pick up the phone and call you. Do you prefer to be “directed” or do you rather compose based on your own instincts in reaction to what you see on-screen? Both – I need to understand the project well before working on it – the director has been living with it for a long time so if they can relay to me the essense of what they want that is great. That being said, its nice to then have some freedom to go off and be creative and try something new! Currently scoring Cartoon Networks Generator Rex and just finished Star Trek Online game for Cryptic Studios and Atari. Given all of your achievements thus far, where do you want to go from here? What is one item you’d want on your resume that currently isn’t? A Spielberg film. 🙂 If that doesn’t happen, I would love to work on a high action TV series like 24, Battle Star Galactica or Hero’s. That would rock! Tell us ONE WORD that sums up a composer’s role in media production, in your opinion.